Whale Enterprise makes its debut at a major waste exhibition in India this week, underlining the significant strides that the Whale brand is making in bringing European quality and technology to the Indian market. Whale Enterprise PVT Limited, a wholly owned subsidiary of Whale Tankers, are exhibiting at the IFAT India trade fair for the Water, Sewage, Refuse and Recycling Industries in Mumbai. It is the first time that Whale, who are one of the largest manufacturers of liquid waste tankers and jetting equipment in Europe, have had a significant presence at a show in India.Whale Enterprise will be showcasing their range of products which have been developed for the specific requirements of the Indian market and are built at its expanding manufacturing facilities at Coimbatore in Tamilnadu. 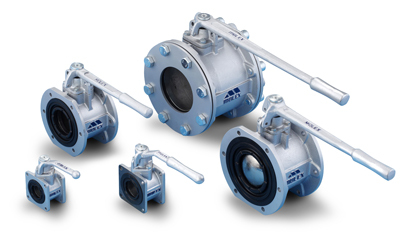 The growing Whale product range in India includes the CombiWhale, the SuperSucker, the highly engineered and specialised KaiserWhale as well as the WhaleLiteJet range of light weight jetters. 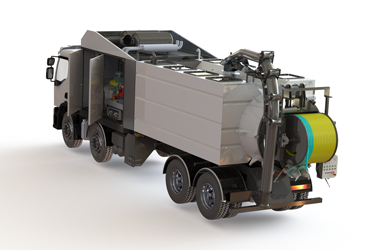 Indeed on display on the Whale stand at IFAT is an example of the WhaleLiteJet range, mounted on a Tata chassis. Designed either to fit into a small LCV such as the Tata, Piaggio or Mahindra or operate as a standalone/trolley unit, the Whale LiteJet is ideally suited for working in confined spaces or in places where road access is constricted. A powerful triplex jetting pump makes the LiteJet suitable for a wide range of cleaning processes. It’s modular design makes it highly adaptable and, thanks to the innovative design of both the units’ tubular structure frame and HDPE water tank, it has excellent water capacity allowing highly effective jetting over a long period of time, thereby increasing its earning potential. As well as exhibiting its products to the industry, Whale Enterprise will also be demonstrating the quality, training, parts and service support that has defined the Whale brand in the European markets and is also a cornerstone of its already well established Indian operation. Whale Enterprise is exhibiting at IFAT India trade fair for the Water, Sewage, Refuse and Recycling Industries in Mumbai 24-26th October 2013 Booth B43, Hall 5.